We manufacture Reduction Sleeves for machine tool industries that meet the most critical parameters in usage, robustness and durability. We provide Reduction Sleeves for boring tool holders. They are available in different sizes and shapes according to the requirements of the clients. Allcon India provide a comprehensive range of Reduction sleeves. We make use of supreme quality materials and industry defined parameters to produce precise reduction sleeves. We offer the sleeves at different sizes and price, which meet various demands of the clients. Our product shows durability, robustness and reliability. Banking on the skills of our dedicated team of professionals, we are involved in providing Type B Reduction Sleeve to our customers. This Type B Reduction Sleeve is made in strict adherence with set industry standards. Furthermore, these products are available as per the client’s requirements at feasible rates. Drill Sleeves or Reduction Sleeves are used to adapt smaller morse taper Shank. tools to larger machine Spindles.These are available in two types. A Grade-Made from high grade Carbon Steel-Completely hardened & precision ground internally & externally. Riding on vast volumes of expertise in this arena, we are occupied in offering Reduction And Reducer Sleeve. We offer high quality reduction sleeves for machine tool industries that meet the most critical parameters in usage, robustness and durability. 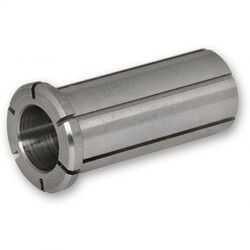 We are presenting a quality assured assortment of CNC Turning Sleeve. 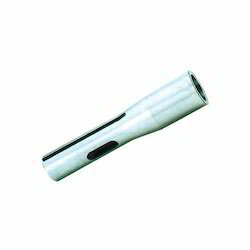 The Turning Sleeve offered by us is suitable to meet the applications of various industries.